Software Quality Center LLC is a reputed partner of the CMMI Institute. We have been using CMMI® to help elevate performance for over 15 years and have seen the value of the models to deliver measurable results for our Clients/Organizations. We look forward to continuing to work alongside the CMMI Institute to extend the reach of the CMMI® frameworks to enable individuals and organizations to reach their goals. On January 27, 2017 the CMMI Institute released the annual report to partners to provide insight into last year's activities. Few highlights of the report. CMMI Institutes happy to report that again in 2016, more organizations earned a maturity level rating than in any previous year. 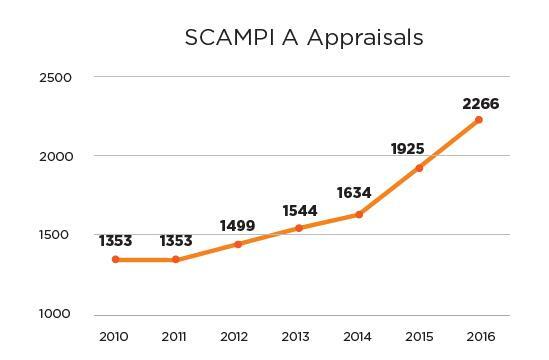 2,266 SCAMPI A appraisals have been reported from 2016. This is a growth of over 19 percent over 2015, with growth again focused in China, the United States, and India.